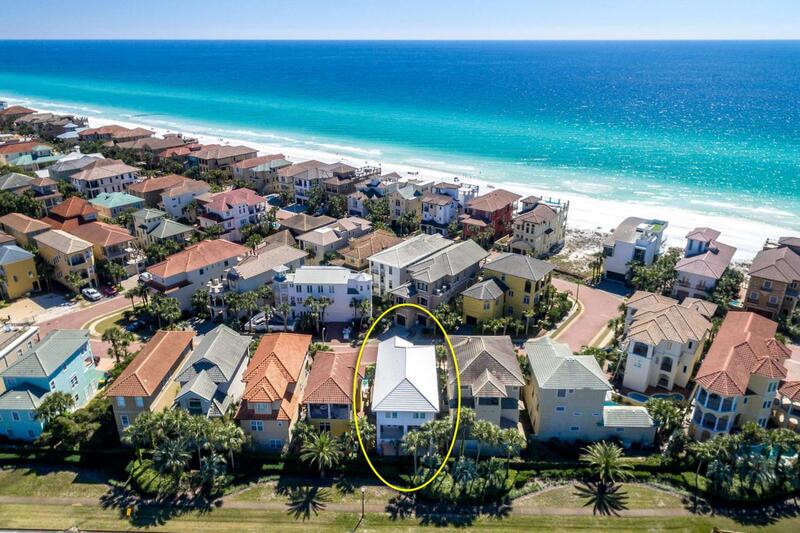 A stunning Coastal Contemporary in the desirable enclave of Destiny by the Sea! 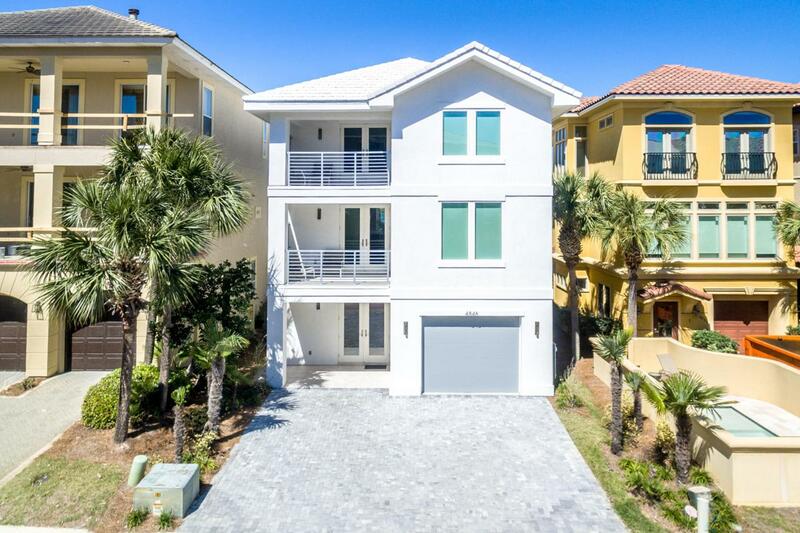 This nearly new, 3-story residence, which was completed in 2018, intelligently combines spacious, minimalist design with artistic elements and finishes, resulting in a home that feels as free and beautiful as the gorgeous natural setting just steps from your front door. The main (second) floor is a fantastic communal space with a gorgeous open kitchen, dining area and living space--ideal for entertaining or family gatherings--plus both a large covered deck and a balcony for celebrating outdoors. The kitchen includes elegant quartz countertops, gorgeous soft-close cabinetry, stainless KitchenAid appliances, a pantry closet and more!Easily accessed via the elevator, the first and third floors provide some division for the more private areas: The master suite and two additional bedroom suites grace the third floor. The first floor offers a large bonus room with bath that is currently used as a large bunkroom with lounging space, but could also make an excellent media room, game room, playroom or space for a home-based office. It also offers an additional bath designed for returning from the beach or pool, storage for beach toys, and a one-car garage. Throughout the home, a plethora of storage closets make it easy to keep the living areas clutter-free, an essential component of the relaxed beach lifestyle. 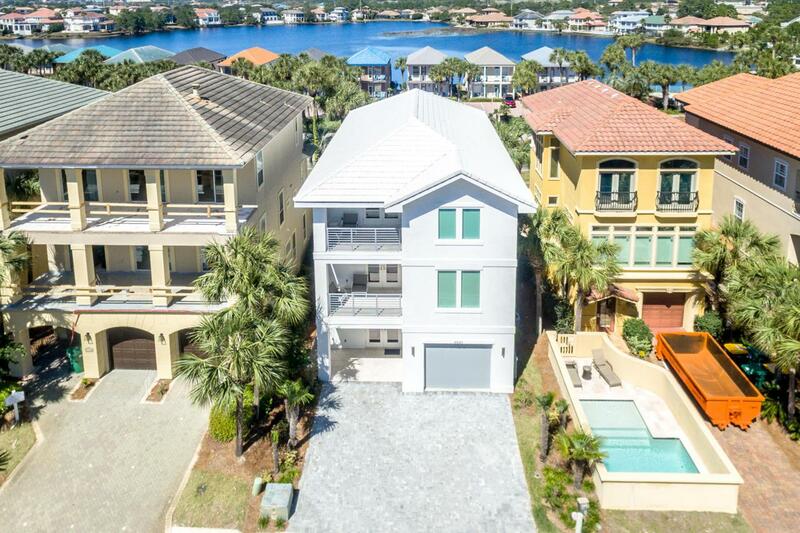 With the recent completions and high standards of construction, this beautiful residence offers an excellent opportunity for a low-stress home, second home, and/or vacation rental property in one of the best gated communities in Destin and the entire Emerald Coast. 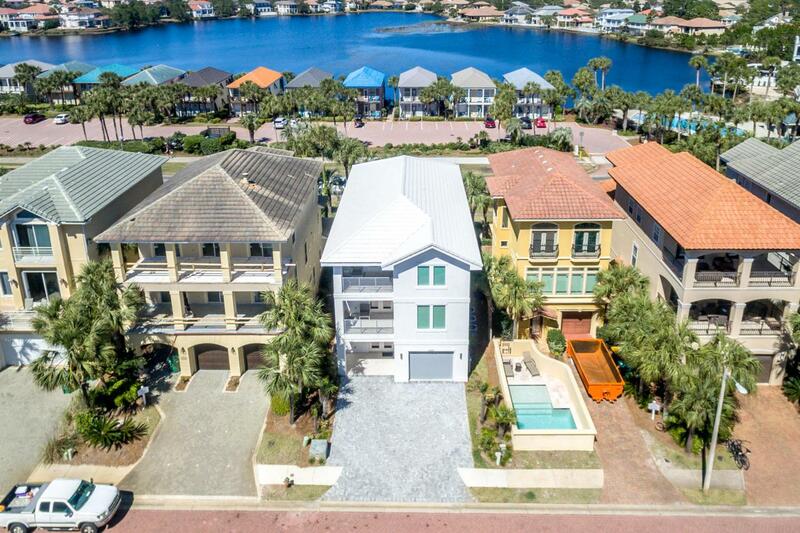 Just steps from the front door is Destiny by the Sea's fabulous pool facility and the walkover to the beach--your front-row seat to endless Gulf horizons, sparkling white sands, soaring birds and spectacular sunsets!